This example shows how to use System objects™ from Audio Toolbox™ to implement echo and reverberation effects in a Simulink® model. You can run the model on your host computer or deploy it to an Apple iOS device. Echo and reverberation are two commonly-used audio effects in recording, movie making, and sound design. Echo is a reflection of sound that arrives at the listener with a delay after the direct sound. Echo can be produced by the bottom of a well or by the walls of a building. Reverberation is a large number of sound reflections building up and then decaying. A common use of reverberation is to simulate music played in a closed room. Most digital audio workstations (DAWs) have options to add echo and reverberation effects to sound tracks. In this example, you design and implement echo and reverberation audio effects in a Simulink model. You can run your model on the host computer or an Apple iOS device. 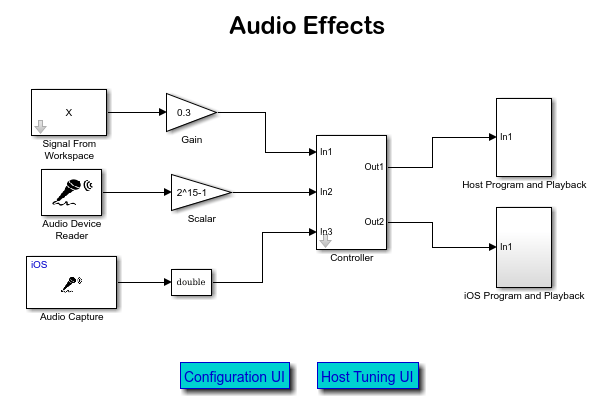 The audioeffectsiOS model provides a choice of audio effect (echo or reverberation), device (host computer or iOS device), and audio source (MATLAB workspace or microphone). You can choose the configuration by clicking the Configuration UI button. 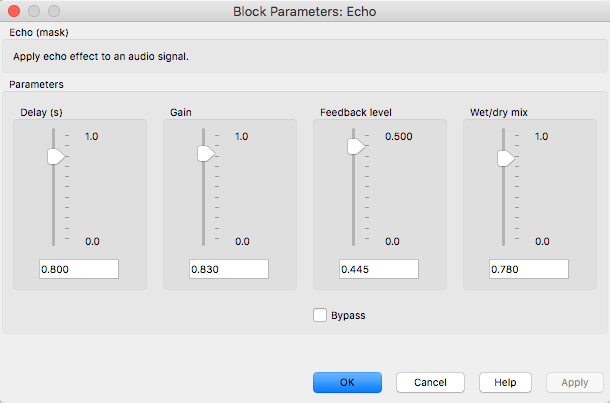 If you choose to run the echo effect on your host computer, a UI designed to interact with the simulation is provided and can be opened by clicking Host Tuning UI. The UI allows you to tune echo parameters and hear the echo sound effect in real time. When you choose to run the echo effect on your Apple iOS device, you need to first ensure that you have installed Simulink Support Package for Apple iOS Devices and that your iOS device is provisioned. Once your iOS device is properly configured, use a USB cable to connect the device to your host computer. 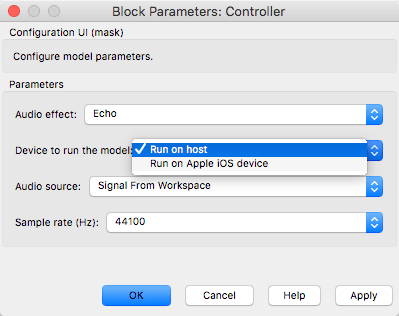 You can choose to make an iOS standalone echo effect app by clicking the Deploy to hardware button on the Simulink Editor toolbar. After deployment, the app can run on your iOS device even when it is disconnected from the host computer. You can also run the model in External mode by clicking the Run button on the Simulink Editor toolbar. To run in External mode, the iOS device must stay connected to the host computer. 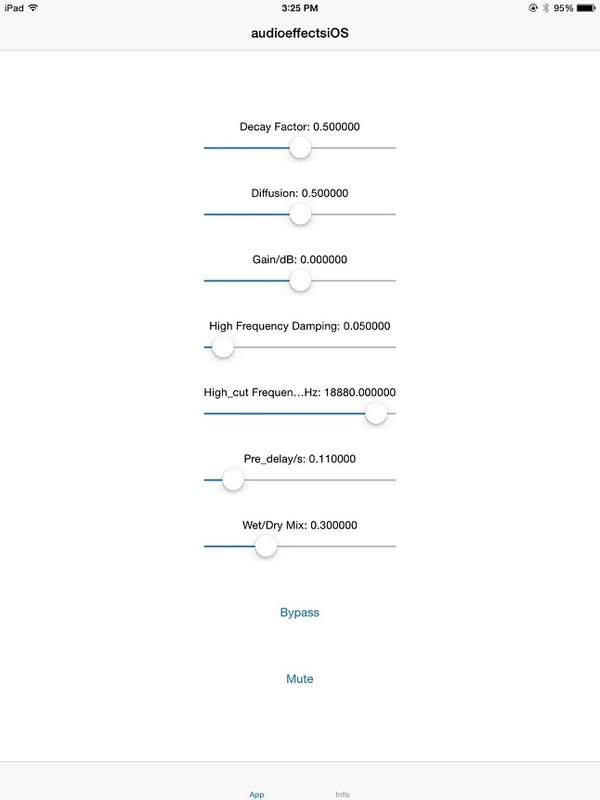 If you choose to run the reverberation effect on your host computer, a UI designed to interact with the simulation is provided and can be opened by clicking Host Tuning UI. 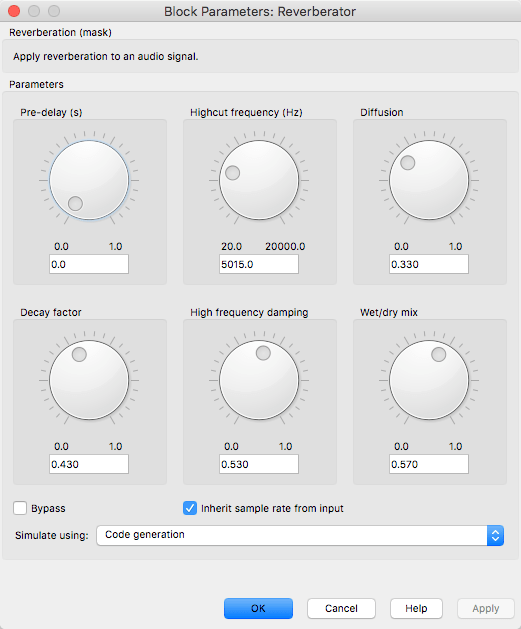 The UI allows you to tune reverberation parameters and hear the reverberation sound effect in real time. When you choose to run the reverberation effect on your Apple iOS device, you need to first ensure that you have installed Simulink Support Package for Apple iOS Devices and that your iOS device is provisioned. 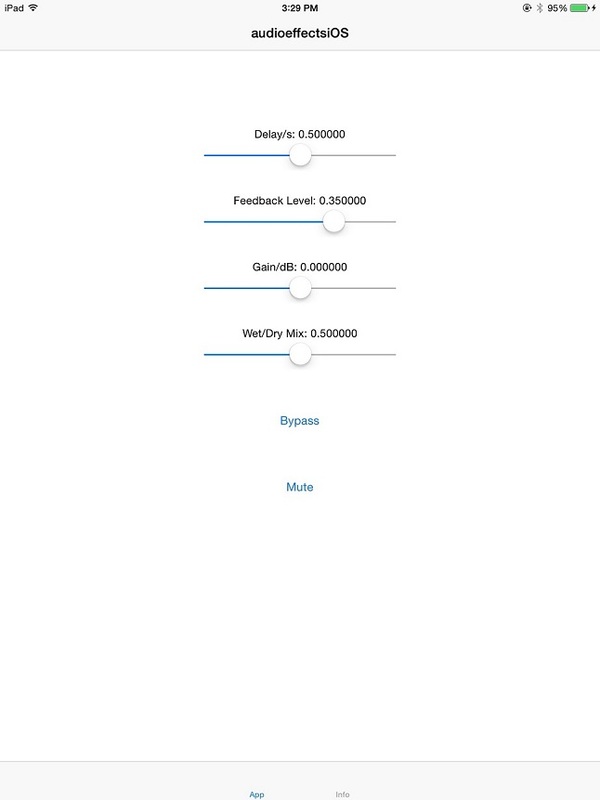 You can choose to make an iOS standalone reverberation effect app by clicking the Deploy to hardware button on the Simulink Editor toolbar. After deployment, the app can run on your iOS device even when it is disconnected from the host computer. You can also run the model in External mode by clicking the Run button on the Simulink Editor toolbar. To run in External mode, the iOS device must stay connected to the host computer.